Set the children in your life on a lifelong path to learning with the next installment of The Baby University board book series. Full of scientific and mathematical information from an expert, this is the perfect book to teach complex concepts in a simple, engaging way. 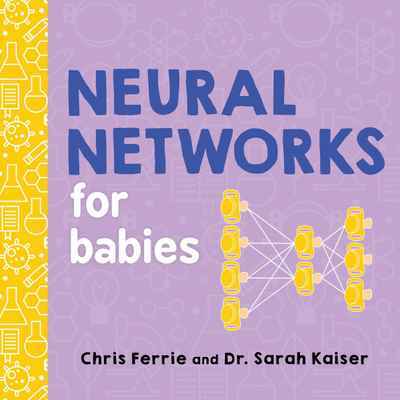 Neural Networks for Babies is a colourful, simple introduction to the study of how the creation of machines and computing systems is inspired by the biological neural networks in animal and human brains. It's never too early to become a scientist!